Hello pilots! 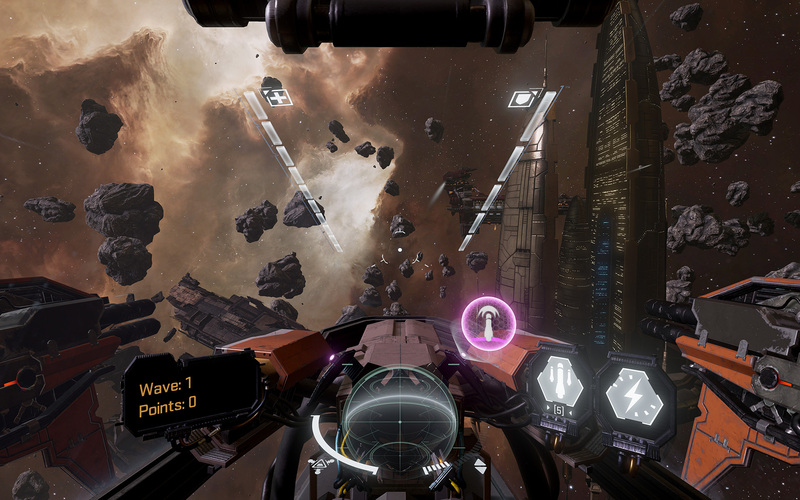 I’m CCP_Joost, UI designer on EVE: Valkyrie Warzone. 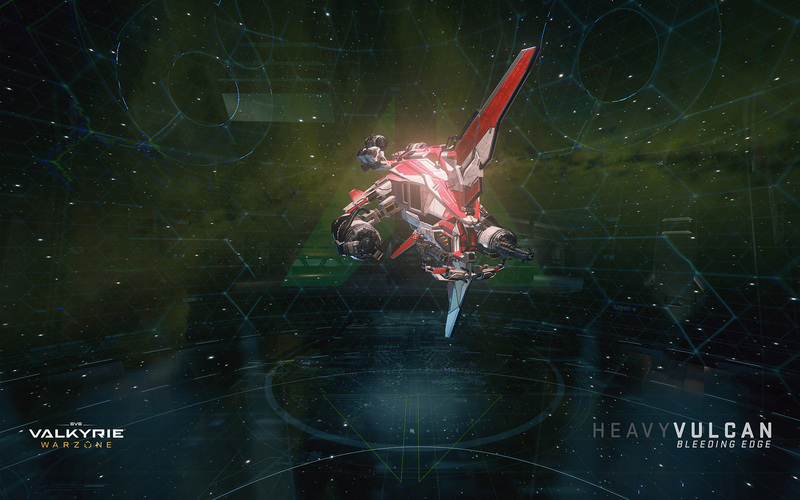 I’m here to talk to you about the brand new ship progression system that we’ve introduced in the upcoming Warzone expansion, as well as the shiny new loot and customization options. Warzone introduces a whole new fleet of next-generation ships, so we wanted to make sure each ship had a meaningful progression tree that players could invest in. 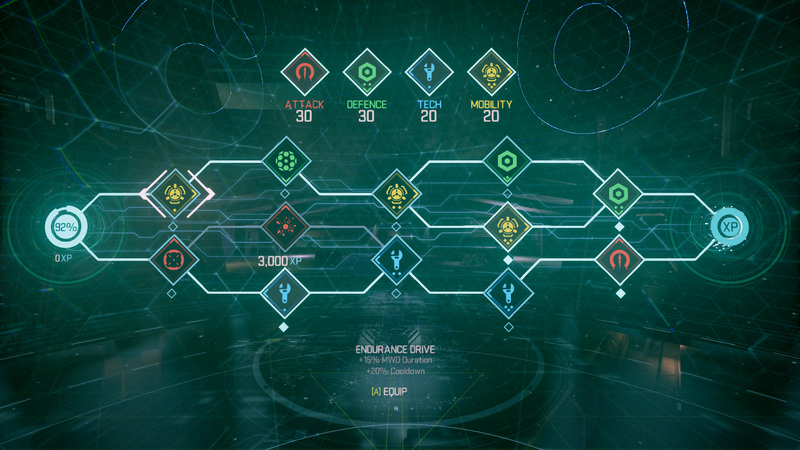 Each new ship has a unique role and an upgrade tree designed to let you tweak the ship to your play style. 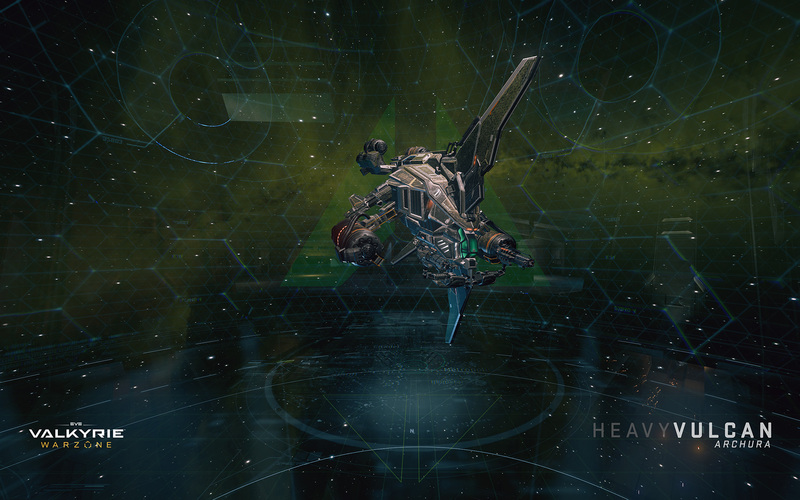 This is done by unlocking and equipping mods, then applying them to your ships. 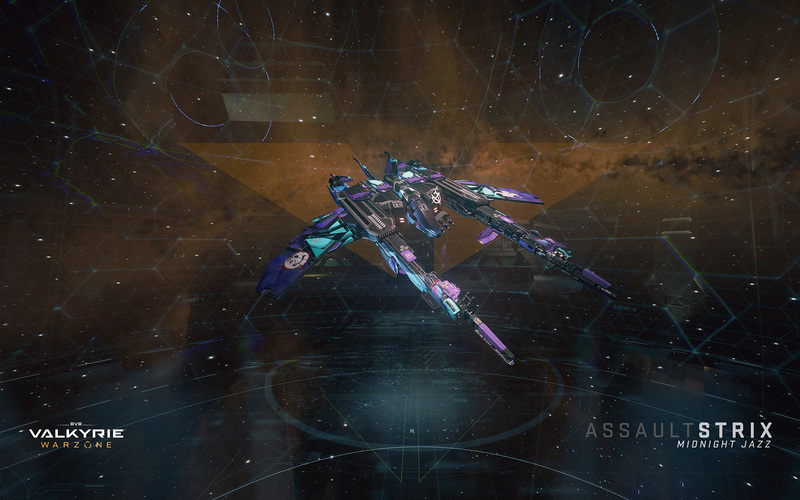 Mods are unlocked with XP, letting you customize the ships as you use them in battle. The new ships now earn XP at the end of each match. Actions like kills, assists, node captures and many others will determine how much XP you will earn. You’ll be informed that you can afford a new mod after earning XP, and a quick visit to the hangar in-between matches will allow you to unlock and equip a new mod before diving back into battle. Most mods have a trade-off; strengthening one property of the ship often occurs at the expense of another. Higher level mods boost properties slightly less, but have no trade-off. Mods come in 4 categories: Attack, Defense, Tech and Mobility. Players can equip one mod from each category. Got faith in your aiming skills in the Strix? Equip a mod that makes its damage output even higher at the expense of a lower rate of fire. Need more Overshield in the Jackal? Equip a mod that makes its Overshield ability stronger at the expense of a slower recharge rate. Want to catch more people in the Kirin’s HUD Scrambler ability? Equip a mod that increases the range at the expense of a slower recharge rate. Equip the mods you like, on the ships you love, to make them fit your play style even more. 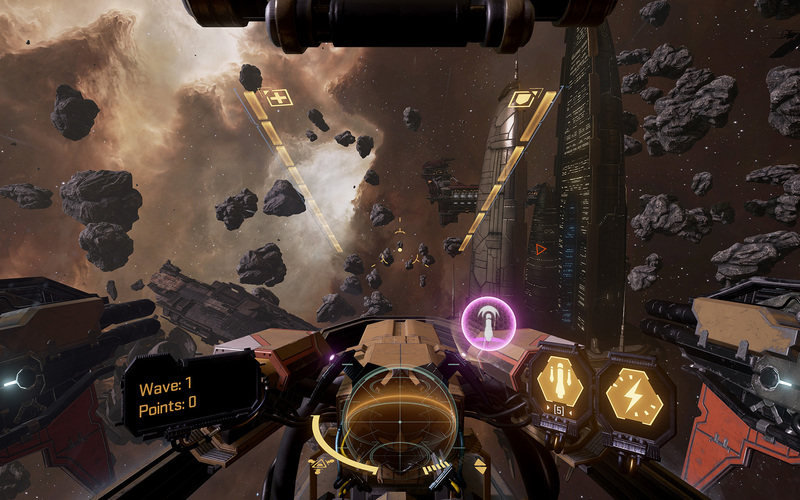 Of course, customization options continue to be a part of EVE: Valkyrie after the Warzone expansion, but with a few notable and exciting changes. All customization options can be purchased with silver or earned from the new Reward Capsule system. 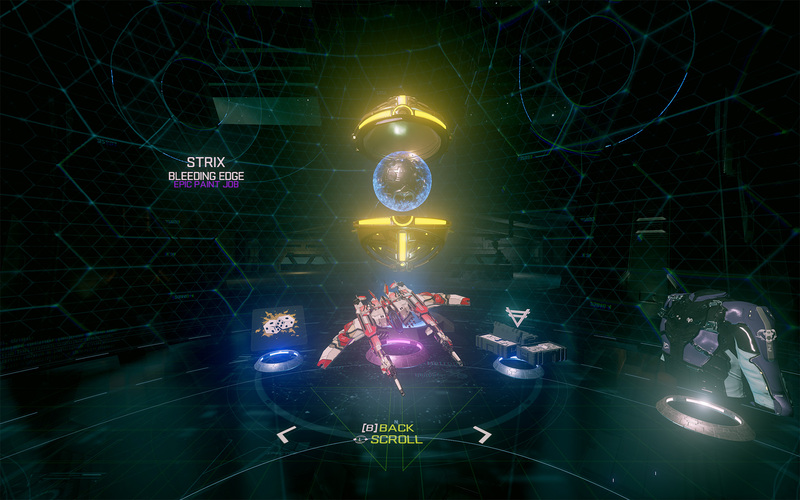 Every online battle you take part in will contribute to earning your next Reward Capsule. Each Reward Capsule is filled to the brim with goodies, offering you the chance to earn paint jobs for ships, decals, pilot suits, helmets, silver and XP boosters. You can purchase gold Reward Capsules in your platform store of choice. Gold Reward Capsules will contain more and better rewards (though all rewards can be earned from free Reward Capsules). 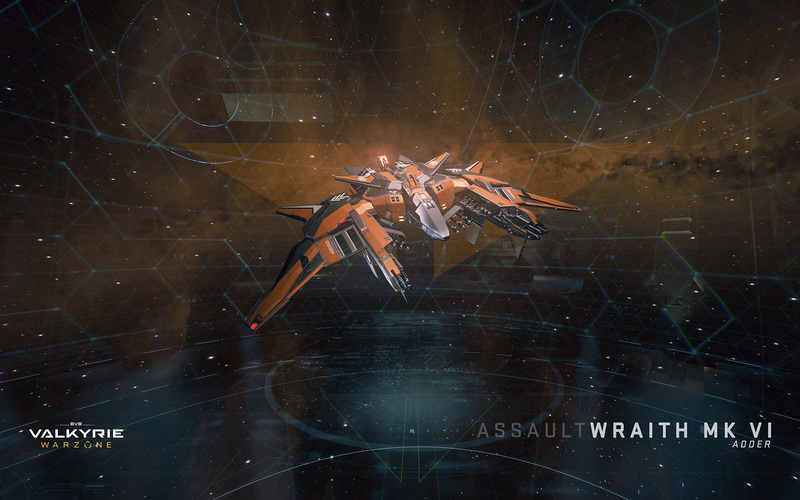 Because we have a new selection of next-gen ships, your old paint jobs, decals and cockpits have been reset. If you were a founding member of Valkyrie, you will be rewarded handsomely with silver for all of the paint jobs, decals and cockpits you owned before the Warzone expansion. This will allow you to buy shiny new paint jobs right away. Your pilot suits and helmets will remain as they were. 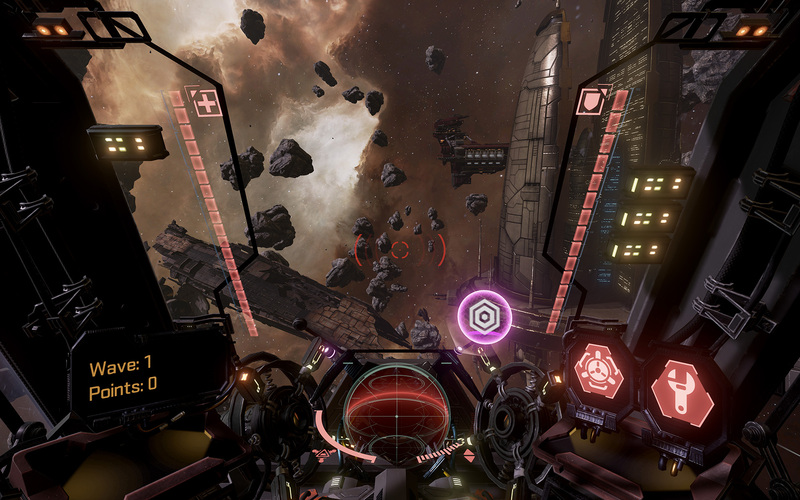 Cockpit customization options have now been combined with paint jobs; rare and epic paint jobs will also change the look of your cockpit interior and HUD! 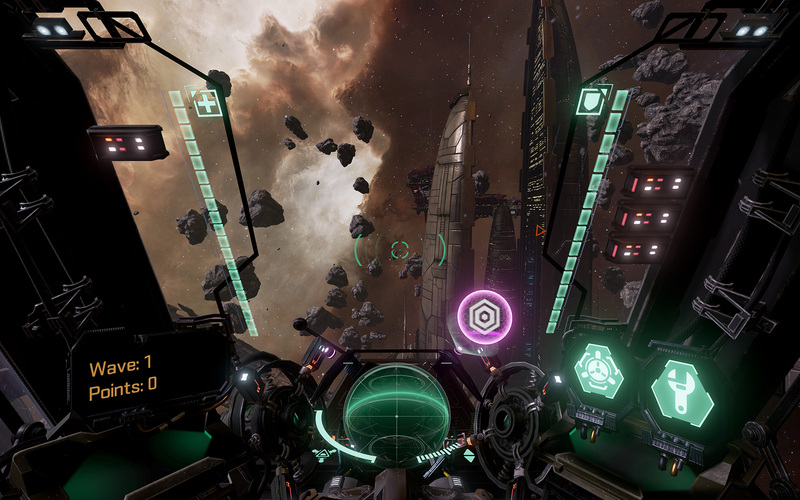 As you can see, ship cockpits can have a very different look when a new epic paint job is applied. As you can probably guess, I’m not very good at stealth! See you in the warzone, pilots!